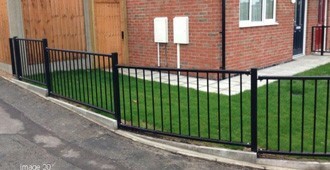 Alpha Rail specialise in the manufacture and installation of metal railings for residential and commercial purposes. 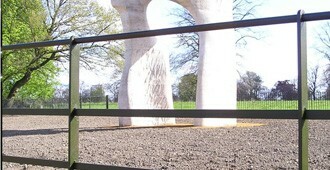 As our extensive archive of completed projects illustrates, we are able to manufacture a diverse range of bespoke and standard metal railings to meet your exact requirements. Our choice of materials and fabrication processes ensures quality metalwork that will last for many years in the toughest of conditions. We understand that our metalwork serves an important practical purpose but also that it must also blend with its surrounding environment which is why we offer a choice of design variations, materials and finishes. We have often been given hand drawn sketches which our expert CAD technicians bring to life to incorporate lettering, motifs and logo’s into the railing design. 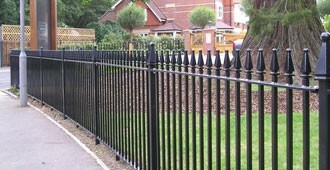 All of the metal railings we manufacture meet the relevant British Standard rating. We are also able to supply metal railings with anti trap spacing which are compliant with BS EN 1176, the European Standard which denotes that infill bars are placed closer together to reduce the risk of children trapping their head in between the upright bars. This type of metal railing is often called Playspec ® and as you would expect is more commonly used for school and playground projects. 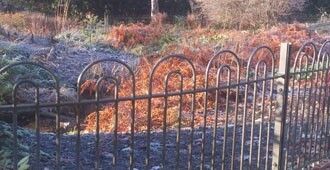 The visual appearance of our metal railings can be further enhanced by the use of decorative rail heads and post finials. Anti-spam: What is 70 plus 30?